What Distinguishes The Hawn Law Firm? The Hawn Law Firm offers its clients a unique blend of experience, expertise and business intuition based on years of successful representation. 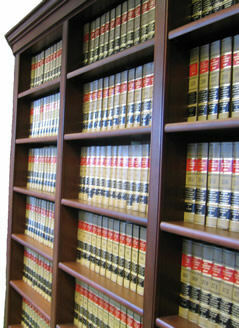 We strive to provide superior quality legal advice while maintaining a cost-oriented disposition. The Hawn Law Firm also distinguishes itself through its ongoing involvment in chartiable activities both locally and nationally. Our proactive support of non-profit and community initiatives is based on our firm's mission - to make a difference to those in need. While we look forward to all of your inquiries, it is important to note that The Hawn Law Firm cannot represent you until we know that your representation would not cause a conflict of interest with our current or previously represented clients. As a result, please do not transmit any confidential information concerning you matter until you receive written confirmation that we are able to advise you regarding your legal needs. Any information obtained from this website or in response to your inquiry does not constitute a legal contract of representation.